Tang Hall Big Local works because local people are involved at every stage. We offer opportunities for local people to be involved, as volunteers, partners, board members, trustees, and as small grant holders and social entrepreneurs. If you would like to join us as a trustee, clerk, secretary or treasurer, please see the role descriptions at the bottom of the page. If you would like to find out more about the small grants we have on offer, please visit the ‘apply for grants’ page. To encourage social entrepreneurship locally, we have created Made in Tang Hall in partnership with UnLtd, a group which provides funding and support for enterprising people with solutions to social problems, which can change society for the better. Tang Hall Big Local have given £50,000 over three years to Made in Tang Hall via UnLtd, to fund social entrepreneurs who want to address social issues relevant to the people who live in Tang Hall. UnLtd will support individuals who want to address social issues throughout their journey. Support is provided by a dedicated Awards Manager, who will help you to think through your idea, create a plan, apply for a grant, and deliver your project. There are several types of grant available, from small grants to test ideas, to much larger ones, to scale up your business and really start making a difference. Tang Hall Big Local hope to build a lasting legacy. We believe that local people deserve a great future, and we want to nurture local talent. Tang Hall Big Local and Made in Tang Hall can help you to do this and ensure there is great support and opportunity for learning and development. UnLtd’s previous work with Local Trust has demonstrated that social entrepreneurs and the ventures they run create real benefit for local residents. Local social entrepreneurs can create services that really fit local needs because they live there too. For example, you can read about how social entrepreneur Rachella Sinclair has helped build community markets and local enterprise in Noel Park Big Local or how Sam Delaney’s social enterprise is helping recovering drug and alcohol users in North Cleethorpes Big Local, or visit the Tang Hall Smart website, to see what Tang Hall’s first successful UnLtd social enterprise! 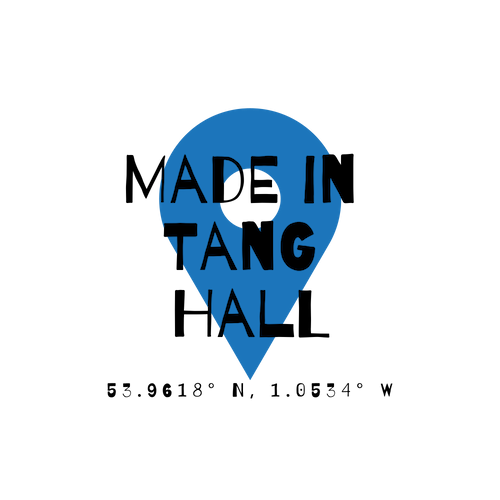 If you are interested, and would like to find out more about Made in Tang Hall x UnLtd grants, please get in touch with Joe Gardham (UnLtd Award Manager) by email joegardham@unltd.org.uk or phone: 07551 008 631 or visit the UnLtd website. Find out about becoming a trustee. Find out about becoming a treasurer. Find out about becoming a secretary. Find out about becoming a clerk.